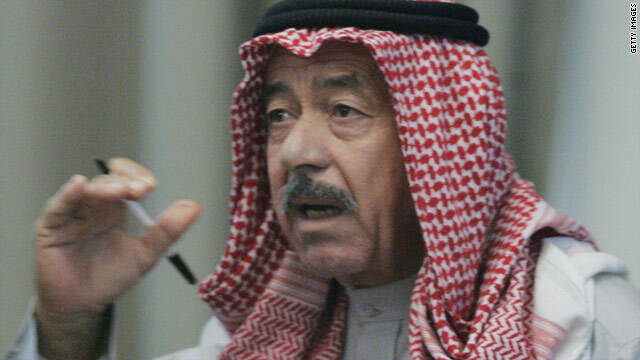 Ali Hassan al-Majeed testifies as a co-defendent in the trial of Saddam Hussein on genocide charges in 2006. Baghdad, Iraq (CNN) -- Saddam Hussein's cousin Ali Hassan al-Majeed, also known as Chemical Ali, was sentenced to death Sunday for involvement in a poison gas attack that killed about 5,000 Iraqis in 1988, an official with the Iraqi High Tribunal said. The attack on the village of Halabja, which earned al-Majeed his nickname, was part of the Anfal campaign, in which the Saddam regime killed at least 100,000 Iraqi Kurds. Al-Majeed has already been sentenced to death three times -- once for the Anfal campaign, once for his role in putting down a Shiite uprising against Saddam Hussein in 1991, and a third time for his part in putting down a Baghdad revolt in 1999. Iraq's Sunni Arab Vice-President Tariq al-Hashimi has so far refused to sign Sultan Hashem's execution order -- delaying the execution of al-Majeed and another defendant as well.